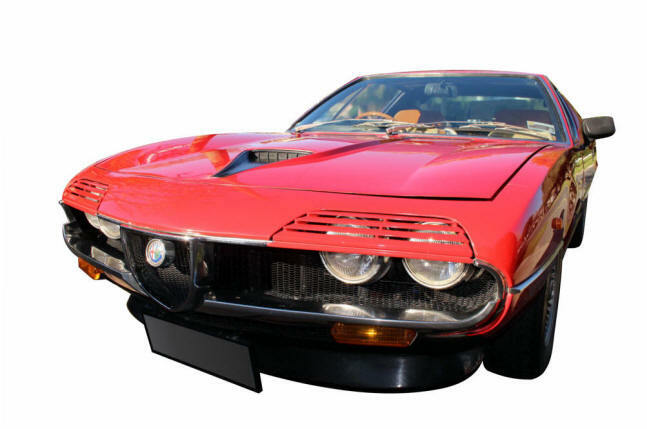 Alfa Romeo Montreal. Race-bred engine, show car body - what a combination! But one of the most misunderstood cars of the 1970s would have to be the Montreal. It was a fascinating car, featuring a unique, race-bred quad-cam, dry-sump V8 engine, show-car bodywork and was produced in very small numbers. But today only a small number of people seem to recognise them and few enthusiasts crave a Montreal so values have took a while to rise while other cars around them skyrocketed. So what was this mysterious Italian exotic all about? The company had a long and illustrious history in racing and building high performance cars, but it had been some time since they'd built anything like their own supercar. 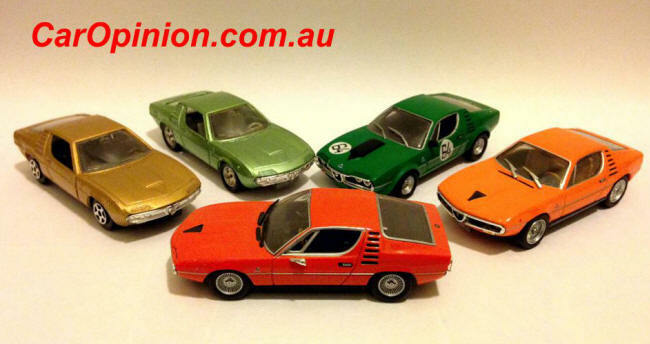 Financially, in the late 1960s the Alfa Romeo company was in a pretty good position. Sales in the last decade were strong around the world, their model range was expanding - Alfas were doing well in several racing categories and the future looked rosy. Milan-based Alfa Romeo was invited to be the sole car manufacturer to exhibit at the Expo 67 World Fair, a huge exhibition staged in Montreal, Canada which opened in April 1967. The show celebrated 100 years of Canadian Federation and nations were invited to show their finest achievements in culture, science and technology. There was a section entitled “Man the Producer” and Alfa Romeo was the only car maker invited to show their vision of the future. 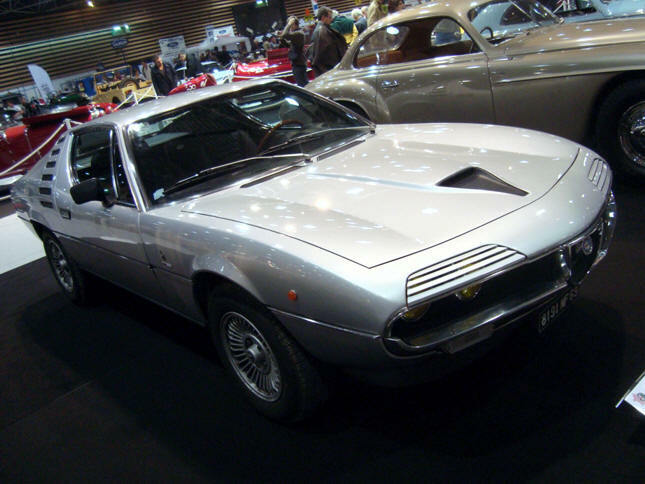 Seizing the opportunity for such a high profile occasion, the Alfa bosses contracted coachbuilders Bertone to design a show car especially for the Expo. 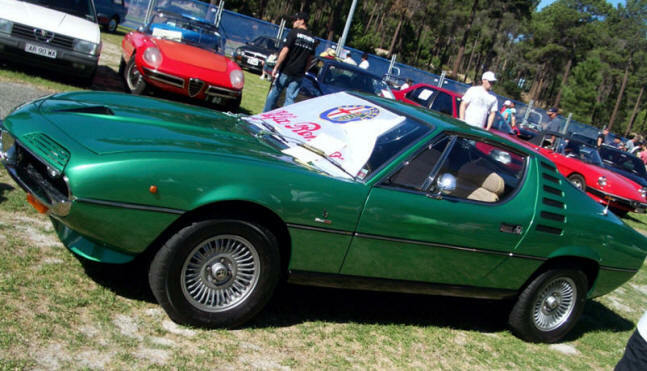 Bertone and Alfa Romeo had a long relationship which had been immensely successful for both companies. The resulting design was based on the floorpan and running gear of the popular 105-series coupe and featured flamboyant styling, with an assortment of vents and gills as the hallmarks of the sleek design. The engine was the 1.6-litre version of Alfa Romeo's venerable twin-cam 4-cylinder unit. Two identical show cars were built and from the moment they were shown at Montreal, they received excellent reviews from the media and public. Period publications complimented the balance and proportions of the design. 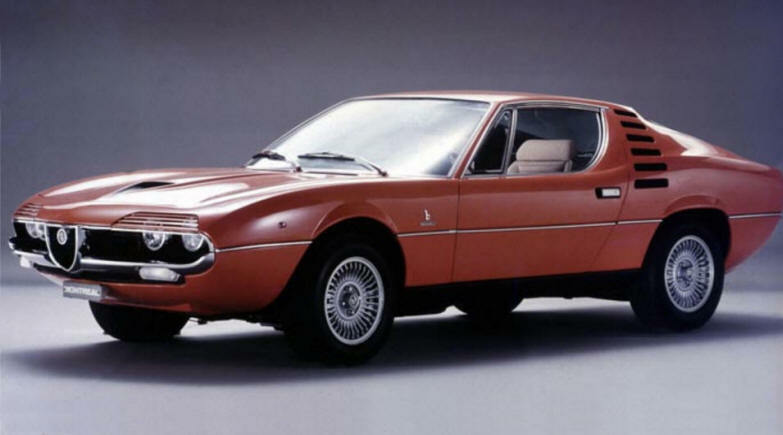 The styling had been done while two greats, Giorgio Giugiaro and Marcello Gandini worked at Bertone, and like other Bertone cars of the era, there remains some discussion about who was responsible for the design… Most likely the work was begun by Giugiaro and finished by Gandini. Ultimately the decision was made to incorporate a version of the successful Tipo 33 V8 engine which had powered various Alfa racing cars to many competition successes in recent years. The 2593cc V8 featured a quad-cam layout, dry sump lubrication, electronic ignition and Spica fuel injection. This was as high tech as you got in the early 1970s. For the application of the new road car, it would produce 150kW (200bhp). Also specified were an (expensive) robust German ZF gearbox, with dogleg first gear plus a limited slip diff, with its own oil cooler were included. The show car bodywork was adapted to fit the bigger engine and a multitude of minor changes were made, but the overall look of the car remained very much the same when production began 3 years later. 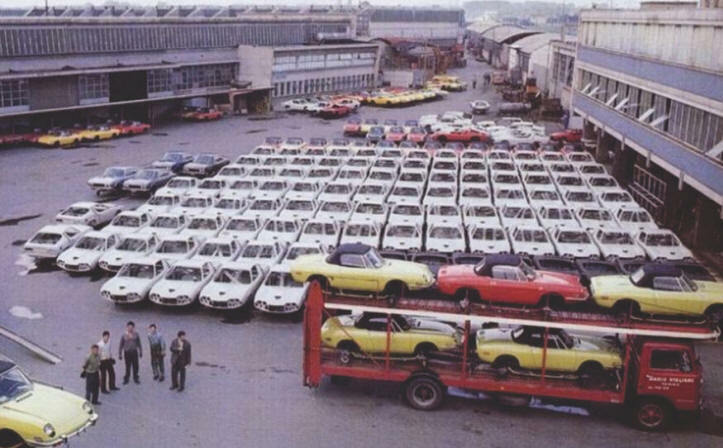 Bertone was contracted to assemble the cars for Alfa Romeo, at its Grugliasco plant, alongside Lamborghini Miuras, Fiat Dino Coupes and 850 Spiders. The resulting car, named Montreal after the Expo venue, was launched at the Salon de Geneva in 1970. With it's magic engine, the Montreal was a quick car by the standards of the early 1970s, capable of 230km/h. 0-100km/h took 7.1 seconds. It could show a Porsche 911 a clean set of heels. At much the same time as the new range-topping coupe came on stream, Alfa Romeo was suffering from industrial problems which beset all Italian car makers at the time. 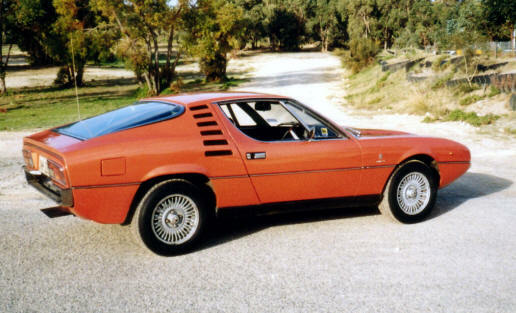 The company was also suffering issues with building a new plant in the south of Italy to build the all-new Alfasud series. The 1973 fuel crisis really hurt Montreal sales. 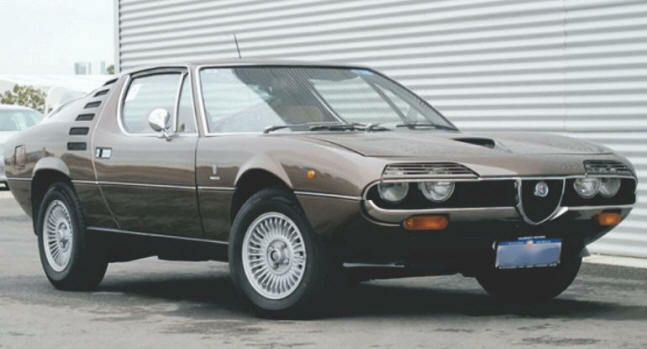 Nonetheless Alfa persevered with the car, and there continued to be sufficient demand until 1975 when manufacturing ceased - though the final cars were sold in 1977. Just 3925 had been built. Offered at $11,900 sales began late in 1972, but only lasted here for a couple of years. The 1974 price had risen to $14,935. To compare, by 1974 a Porsche 911 started at $13,460 (to $18,477 for a Carrera), a BMW 3.0CSi cost $17,950, a Ferrari 308GT4 cost $19,500 – right on par with a Urraco and a Mercedes 450SL. So the Montreal was pretty good value here. Dealers around Australia were pleased to have such a glamour model to boost the brand's image. The cars were offered in a range of colours, including two real stand-out metallics – orange and green. Well, you might think that rust would be the obvious Montreal failure. However, Bertone seemed to do a better job of rust-proofing than the big Italian factories (though there are photos showing yards full of unfinished bodies, in the open). Probably helpful, is the fact that nobody ever left a Montreal out in the open, usually cosseting them in a garage. The Spica mechanical fuel injection pump on these cars was a notorious weak point. Owners reported that after about 40,000 miles (it was before Australia went metric) the pumps would begin to fail – allowing the oil and fuel to mix, causing a multitude of problems. The Spica injection pump was like a tiny in-line 8-cylinder engine, and the pistons would wear, allowing fuel to leak down the sides into the car's oil. Dry sump tanks would fill up with petrol, plumes of smoke would emanate from the exhausts and the cars would run poorly. The pumps had been fine on racing engines which never reached this kind of mileage. The cloth upholstery was a popular fitting in Australia, but for the same reasons of cars being well-looked after, usually lasts extremely well. Of course no Italian car of the Montreal's era ever had decent electrical systems and these cars are no exception. Usually issues can be solved, but it's an unusual Montreal where everything always works - when it should. The headlight shades operate pneumatically (why do something simple of there's a complicated way? ), but the systems are pretty reliable. This writer owned a Montreal for several years ago, using it around town, in the country and in long-distance touring rallies, as well as the odd track day - pretty much everything you could ask of one. 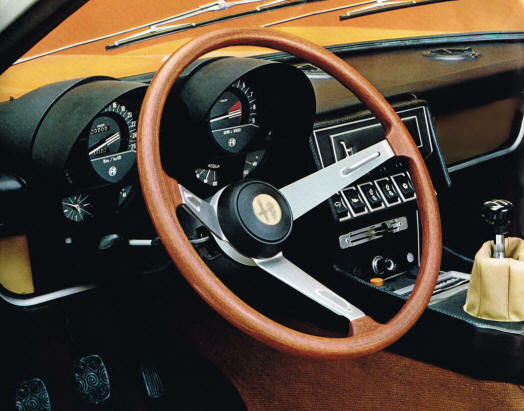 The Montreal features the extreme Italian driving position, which requires adopting a legs splayed position (but quite comfortable on long drives), and the dramatic instrument panel behind the steering wheel. The eight gauges and groups of warning lights are set in two huge circular pods which jut forwards out of the dashboard. The gearshift is a pleasure to use, with its short throw and positive feel. And of course there's the motor – the jewel of the Montreal's crown. It gives a deep, rich burble from the exhaust - far more than you'd expect from its small capacity. Once you get under way, it's the fabulous exhaust note which dominates. Any Montreal provides about the greatest motoring aural pleasure imaginable. It's not the high pitched scream that modern Ferrari V8s have - the Alfa engine revs to 6500, bellowing all the way, popping as you decelerate. 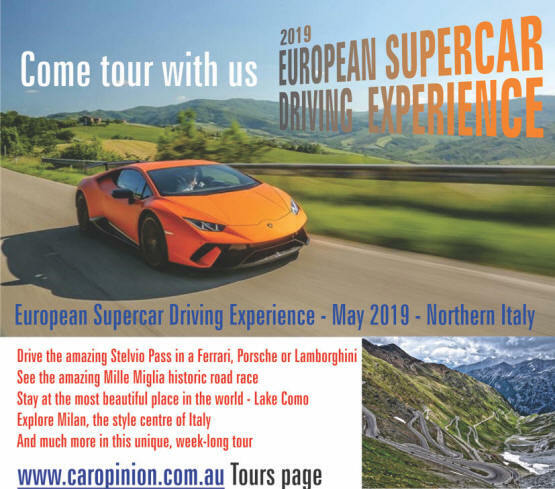 The suspension is relatively soft, reflecting the luxurious nature the car was supposed to have and the 4-wheel discs are efficient and confidence inspiring, even if the nose dips markedly under heavy braking. For the last decade, it's a been bit hard to fathom that with such rarity (only 44 came to Australia), breeding and capability that many other cars around the Montreal have seen their values soar in recent years, but finally, in about 2015 prices around the globe suddenly took off. They're still only worth a fraction of the price of a Dino 246 GT ... But if European price trends are a clue (and they usually are), you won't find a Montreal for less than $75,000 any more. While the Montreal is pretty unique, potential buyers have several options along similar lines to tempt them. Fiat Dino Coupe - Also styled and built by Bertone in the same era. Not as quick or sporty as the Alfa. A 4-seater, unlike the Montreal. Ferrari V6 engine expensive to repair. Never imported to Australia, but several private imports. Similar money. Porsche 911 - So many versions to choose from. Only the hot models quicker than the Montreal and those sell for many times the price today. Quirky to drive and not to everyone's taste. Pretty basic too. Not much from the era matches a 911 Carrera RS, but they're a million dollars now... Brilliant and characterful cars, but way more common than the Alfa. 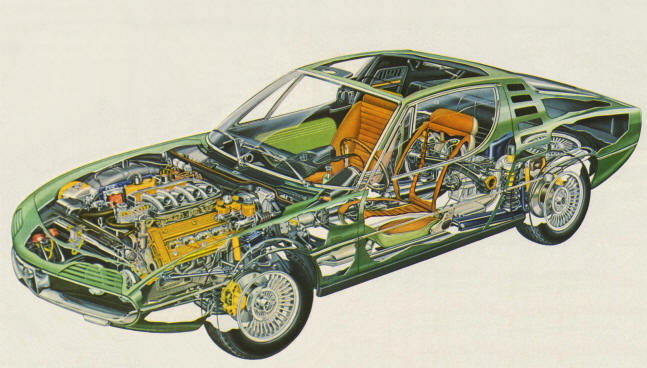 Ferrari Dino 308GT4 - The wedge-shaped Bertone styled car, not the lithe 246. Great 3-litre V8, excellent driver's car. Silly small back seat space. Prices have finally picked up on these too - a decent one more costly than a Montreal. Expensive to fix and not built brilliantly new. Rewarding to drive. 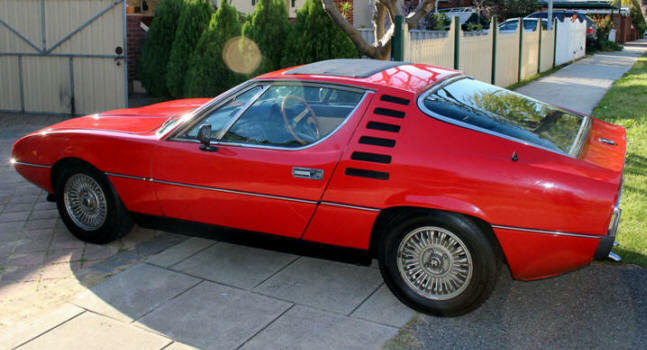 Maserati Merak - Montreal era, with mid-mounted V6 and a rear shelf marketed as seats. Late SS model is a sweet drive. Ergonomic challenge for drivers. Poor build quality but most have been restored by now. Great styling. Can be considered pricey for what you get. Lamborghini Urraco - Pretty much everything as per the Merak above. Rarer P300 much better than earlier P250. Lotus Elan Plus 2 - Plastic fantastic. Lotus moved into the realms of the luxury market with this model, moving from pure sports cars. Smart styling, woeful finish. Lovely twin-cam 4-cylinder engine not a match for the cars above. Decent drive. Prices much less than a Montreal.